I was running a few errands in Harvard Square this weekend, and decided to try out Sweetgreen for a quick lunch…and I am so glad that I did!! Not only did they have lots of gluten-free items on their menu, but I also loved that they have a board displaying the regional farms that they source for their ingredients. 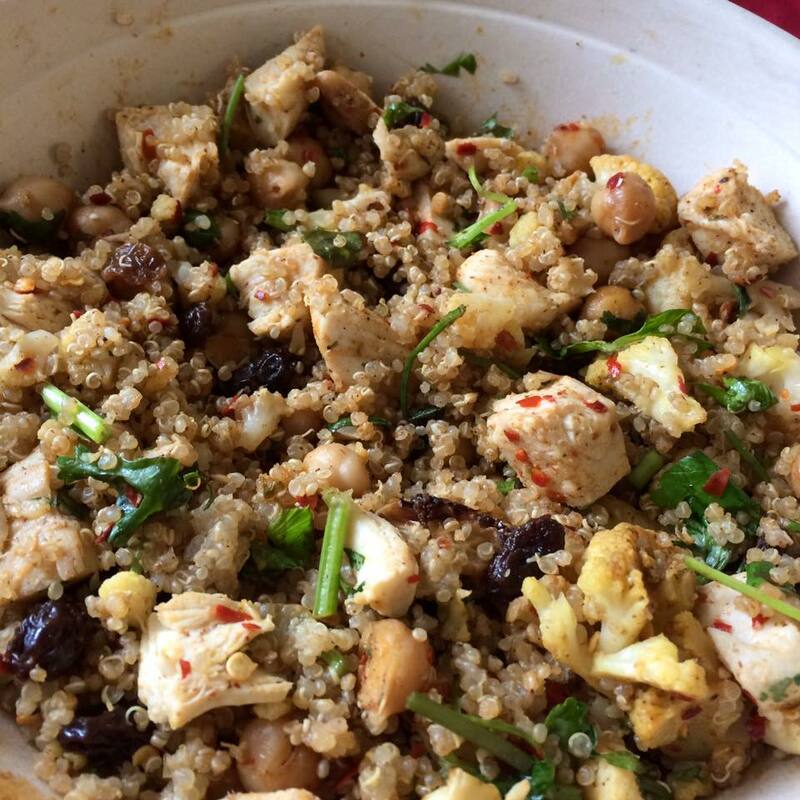 I ordered the Curry Cauliflower Warm Bowl, which contained roasted curry cauliflower, warm quinoa, roasted chicken, chickpeas, cilantro, raisins, red chili and a side of cucumber tahini yogurt dressing. It was super spicy but also super delicious! This dish is part of their rotating seasonal menu, so it is only offered in the fall (yes it’s actually winter right now, but they haven’t switched to their winter menu yet). I will definitely be going back to try out some more of their gluten-free dishes. You can see their current menu here (dishes with an asterisk (*) contain gluten). They also provide a detailed downloadable menu with not only nutrition facts, but also the individual ingredients and allergen information for many of their items, which can be accessed here. If you’ve dined at Sweetgreen before, I’d love to hear your recommendations for which dish to try next! 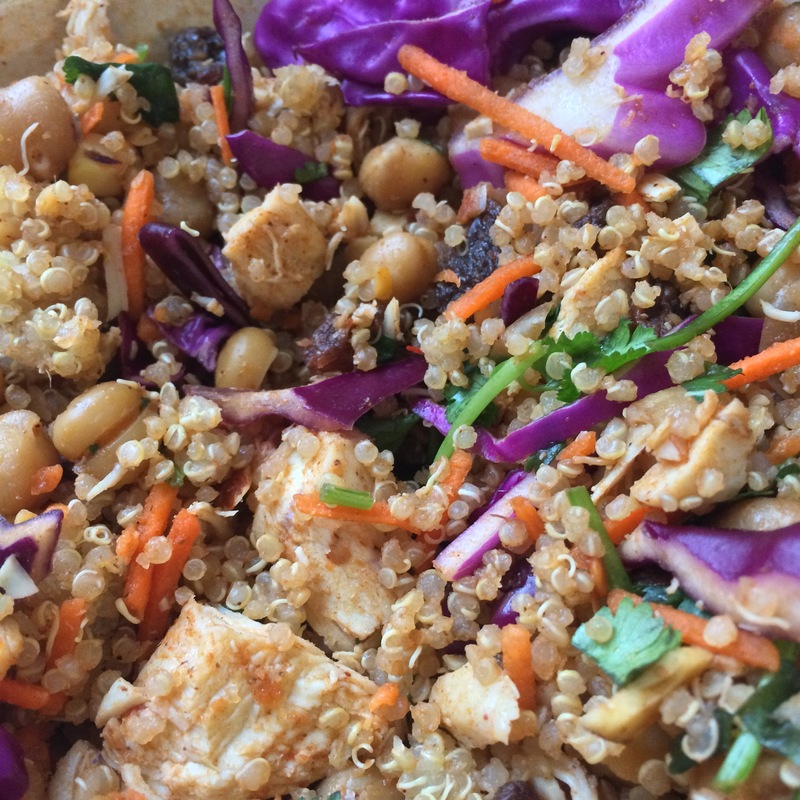 The warm curry chickpea bowl is also delicious! Note: I have not been compensated for this review, and all opinions expressed are truly my own (as always! ).